The U.S. 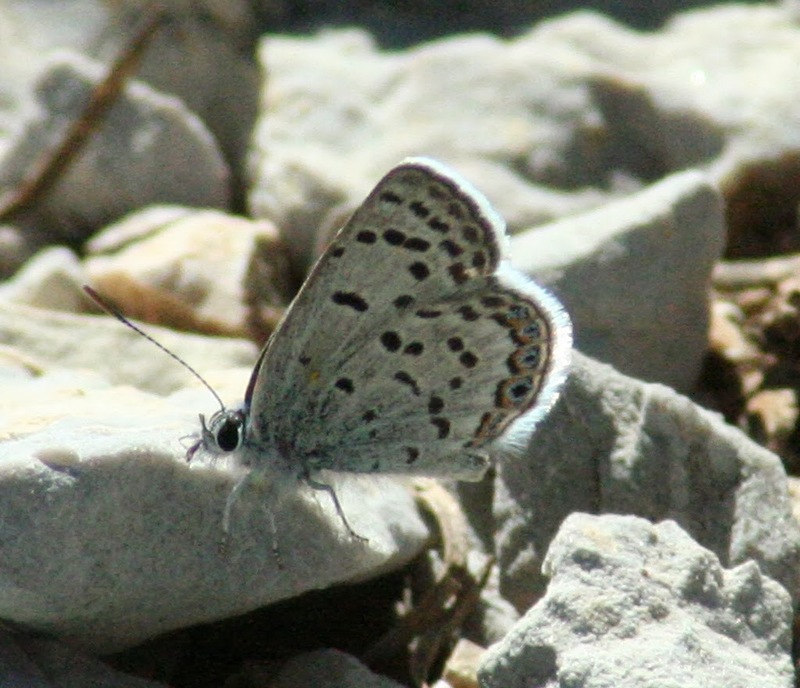 Fish and Wildlife Service listed the Mount Charleston blue butterfly as endangered in September, which should result in more resources to protect this species from vanishing. The Mt. Charleston blue butterfly is only known to occur in the higher reaches of the Spring Mountains in Nevada, west and northwest of Las Vegas. The butterfly's population is likely declining, although information gaps preclude us from quantifying its population trends. The species is believed to be extirpated from six of 16 locations that it has been known to inhabit, and it is only "presumed" to occupy eight of the 10 other locations. 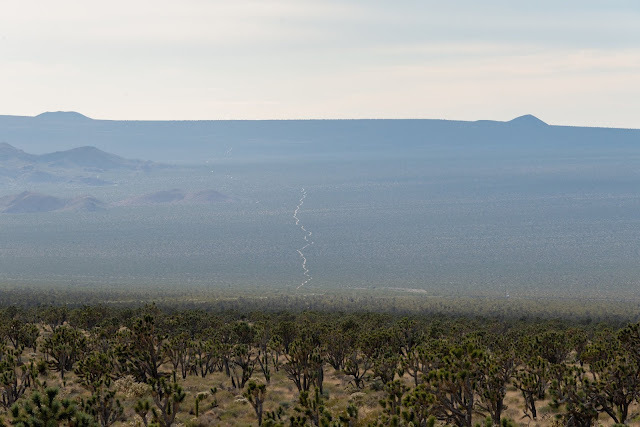 In other words, it may exist in 10 relatively confined locations throughout the mountains, but for eight of those locations it probably has only a tentative existence, at best. 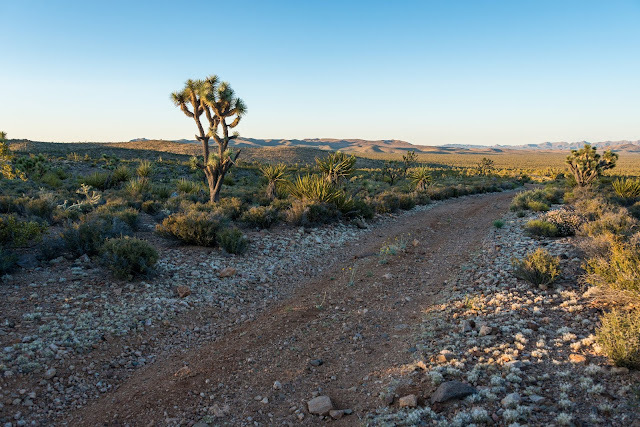 The butterfly faces a threat from climate change - more extreme precipitation and drought patterns are expected in the southwest - and collecting by poachers. Because of threat from poaching, critical habitat will not be identified since that would involve publishing more precise locations that could make the species more vulnerable to illegal collection. Because of the threat posed by collectors, the U.S. Fish and Wildlife Service determined that four other butterflies found in the same area and similar in appearance to the Mt. Charleston blue also warrant protection. 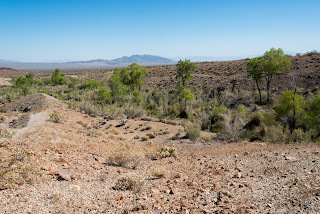 The Spring Mountains seen in the distance from the Pahrump Valley. Wow! What a lovely butterfly.